The Fringe of Hollywood is a guide book that reveals how Westerns can be made historically correct, on time and under budget, while exposing common mistakes. This is a companion piece to Peter’s first book, Tombstone: The Guns and Gear. Fringe takes you on a developmental journey through the changes made over time to weapons, gun belts, saddles, costumes and much more. This new book is a trail blazer to producers, writers, actors, costumers, designers, and wranglers, as well as film industry suppliers, the re-enactment communities, Cowboy Action Shooting (CAS) and all those interested in the American Frontier West. 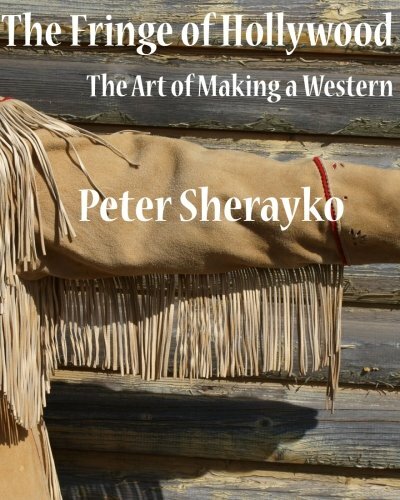 Peter Sherayko has a passion for the West and Westerns that is clearly reflected in his work as performer, author, historical consultant and entrepreneur. Peter doesn’t just work on Western films, he lives the West. And in a time when people believe there aren’t very many Westerns, Peter has a full plate of projects in a variety of media – some large, some small, some of his own. Combining his acting with his passion for the Old West, Peter was prompted to create Caravan West Productions, a company designed to bring quality to the Hollywood Western and provide today’s sophisticated and demanding film audience with the most authentic product possible. In the process, Sherayko has become recognized as historian and author, appearing in numerous Wild West Tech episodes for the History Channel and serving as technical consultant and supplier to both the History and Discovery Channels. Such a body of Western related programming draws upon Peter’s knowledge of the period between pre-1800 and the 1920s to supply the weapons and props needed by numerous documentary film makers for their historical re-creations. A collector of genuine Western gear found throughout the country over 35 years, he also has a personal reference library of more than 5,000 books on the period and culture of the West. His film, television and stage career has spanned over four decades. For the past 20 years he has devoted his life’s work to creating quality Westerns. Peter is a U.S. Air Force Vietnam Vet, has more degrees than a thermometer and enjoys sharing his knowledge of filmmaking to colleges and universities. 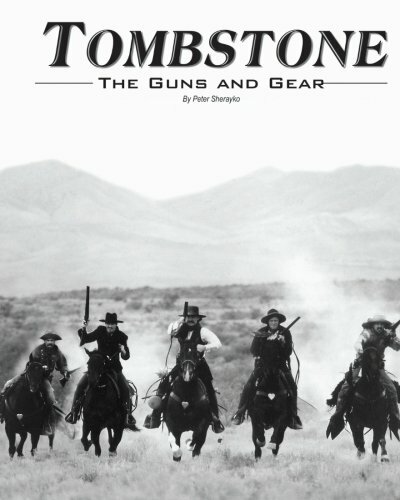 Tombstone: The Guns and Gear, is a book about the guns, gear and other "neat stuff" used in the film Tombstone or appropriate to Tombstone Arizona Territory (AT). This book was written by Peter Sherayko to answer the questions that gun enthusiasts have asked since the film's release, and is designed to be a guide to functional originals and quality reproductions for moviemakers, re-enactors, and collectors alike. Those who have commented speak highly of the degree of authenticity captured by the film. So, sit down by a warm fire with a fine cigar and a glass of bourbon in hand, your dog curled at your feet and learn about the guns and gear used in the movie Tombstone. Make yourself comfortable, sit back, and reflect about the history and movies of the Old West. For the collector and researcher, a bibliography and price list is provided at the end of the book to help you evaluate the results and create your own characters in the future. Author's Biography Peter Sherayko, the actor who portrayed Texas Jack in the film Tombstone, also provided the firearms and the Buckaroos who made up many of the Cowboys in the film through his company, Caravan West. Researching the numerous firearms that were invented during the 1870s and 1880s, with their unique variations, in order to bring the period to life in an accurate way was a fulfilling and exciting challenge. Peter received the Buffalo Bill Award for family entertainment from the State of Nebraska, and he and the Buckaroos can be seen in numerous films and commercials, continuing their dedication to historical accuracy.